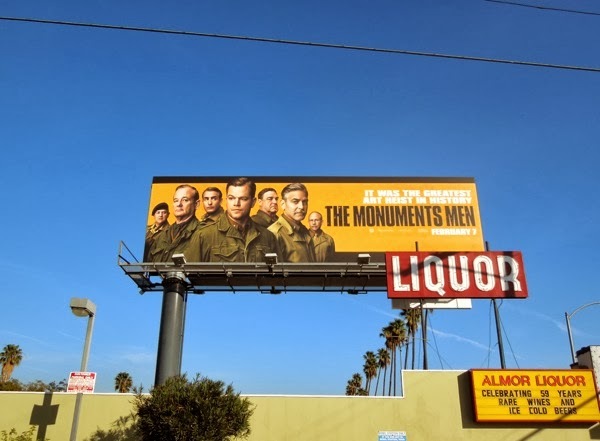 Wars are fought over many things, from power to religious beliefs, greed to insanity, but at the same time there are those fighting to protect those things that civilization holds dear, like love, freedom and art. 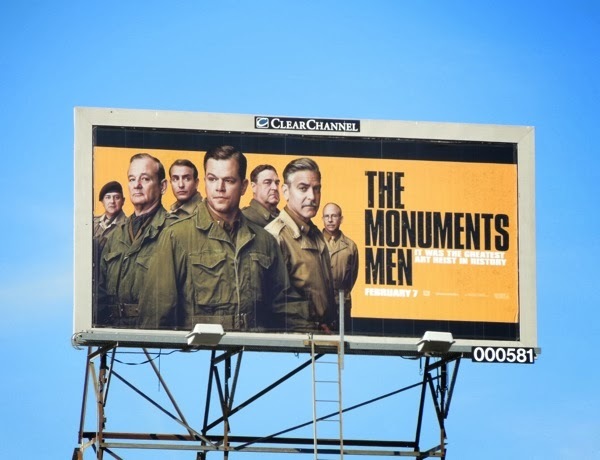 Set amidst the battles and destruction of World War II, a special unit of experts are tasked to rescue art masterpieces from Nazi thieves and return them to their rightful owners in The Monuments Men. 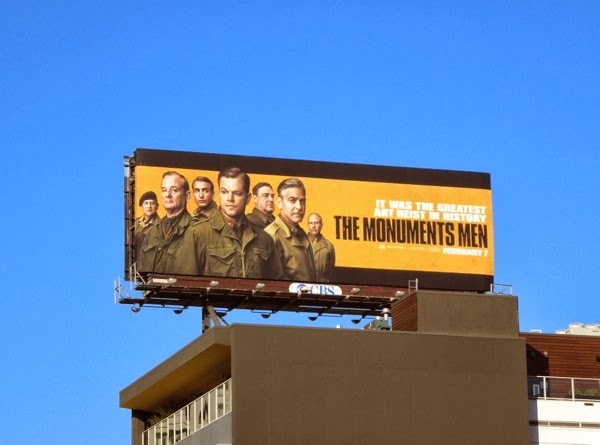 The film boasts a wealth of familiar names and faces from frequent collaborators Matt Damon and George Clooney, to comedy legends Bill Murray and John Goodman, and a touch of British class in Hugh Bonneville and French flair from Jean Dujardin, with Bob Balaban and Cate Blanchett rounding out the star-studded cast. 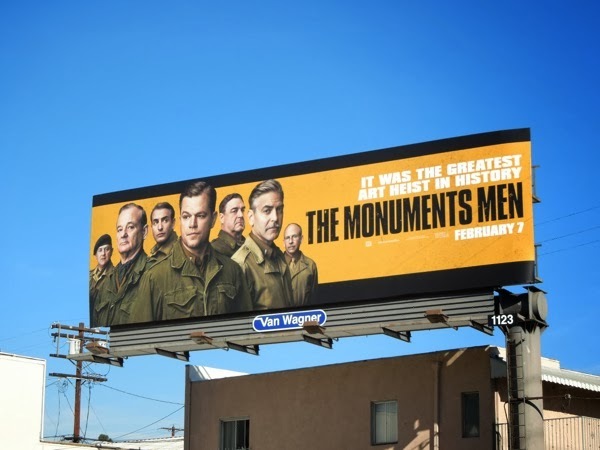 Directed by George Clooney, the movie is based on the true events of how this plucky platoon was sent into Germany by President Franklin D. Roosevelt to safeguard thousands of years worth of culture before it could be destroyed as the Reich fell. 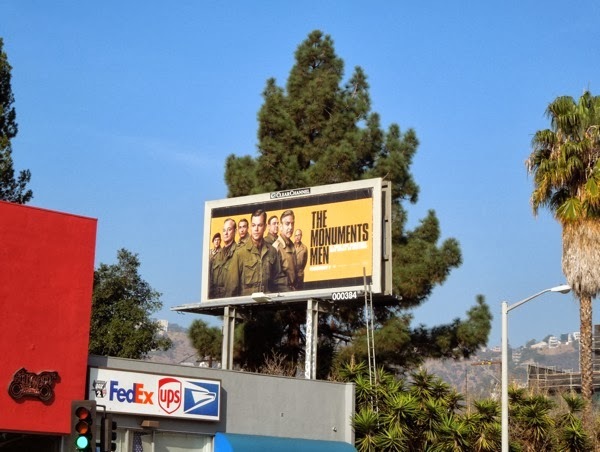 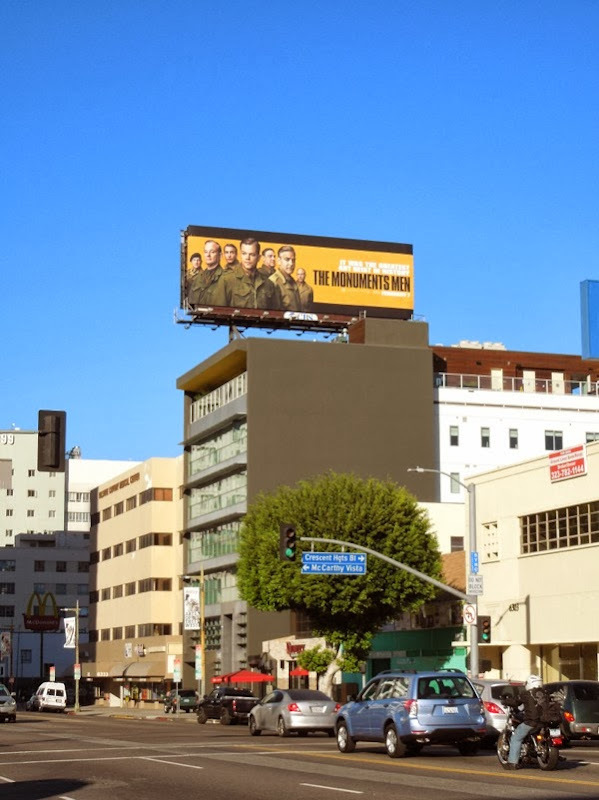 These bright orange billboards for The Monuments Men seem to be everywhere around L.A. at the moment, from Santa Monica Boulevard to Fairfax Avenue, flying high over Sunset & Vine and Wilshire Boulevard, plus standing proud along Sunset Boulevard and Highland Avenue and were photographed from December 30, 2013 to January 16, 2014. 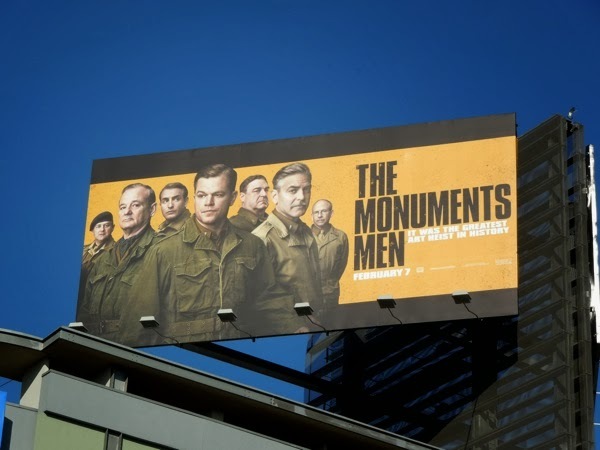 It's being sold as a grand heist movie, but can The Monuments Men hijack the box office this February?